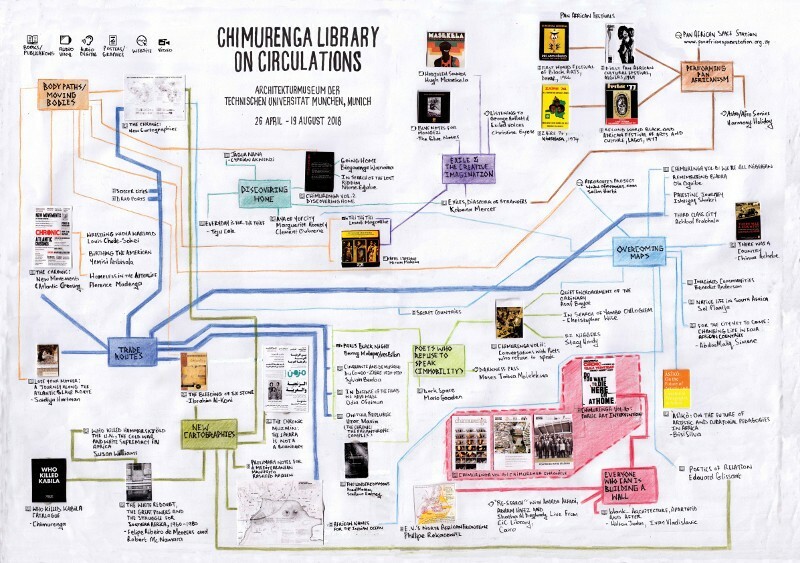 The Chimurenga Library is an ongoing invention into knowledge production and the archive that seeks to re-imagine the library as a laboratory for extended curiosity, new adventures, critical thinking, daydreaming, socio-political involvement, partying and random perusal. Embodying the proposition evoked by the title by “finding oneself,” as Moses Molelekwa put it, on library shelves and in communities, The Library offers an opportunity to investigate the library and the archive as conceptual and physical spaces in which memories are preserved and history decided, and to reactivate them. Curated for the African Mobilities Exhibition at The Architekturmuseum der TU München, Munich (26 April – 19 August, 2018) The Chimurenga Library on Circulations, explores the complexities of migration and the circulation of people, ideas, resources and aesthetics – both in physical space and in spaces of the imagination. Visit it in Munich (26 April – 19 August, 2018) or online. As part of Manifesta 12, the Borderless Newspaper co-inhabits Palermo, Italy, 16 June to 4 November 2018, as a laboratory for the challenges of our time, looking for traces of possible futures, and tracing the disjunctive flows and circuits – of people, capital, goods, data, seeds, germs – that are often invisible, untouchable and beyond our control. Drawing on research from the Chimurenga Library on Circulations, as well as new investigations and research, the Borderless Newspaper explores the shaping power of colonization, exile, emigration, wandering, contamination, and unexpected, random events, along with the fierce compulsions of greed, longing, and restlessness.